Immaculate Home Improvements offer bespoke conservatory roofs, designed to increase your existing conservatory’s weather resistance. This helps to keep your Bournemouth conservatory at a pleasant living temperature all year round. Insulated to reduce the glare of the sun and noise of heavy rainfall. One of the leading reasons for homeowners upgrading their conservatory roof is to improve the energy efficiency. Our tiled conservatory roofs will help to completely transform the available space a conservatory brings, allowing you and your family to enjoy the additional space all year round. Immaculate Home Improvements offer our conservatory roofs in two attractive finishes. Choose between a plasterboard or tongue and groove conservatory roof finish, depending on your preferences. Each of roofing systems comes complete with a ten-year guarantee at no additional cost. To help match the existing aesthetics of your home, Immaculate Home Improvements offer an attractive range of colour finishes for your conservatory roof. Manufactured from a recyclable mix limestone and polypropylene. 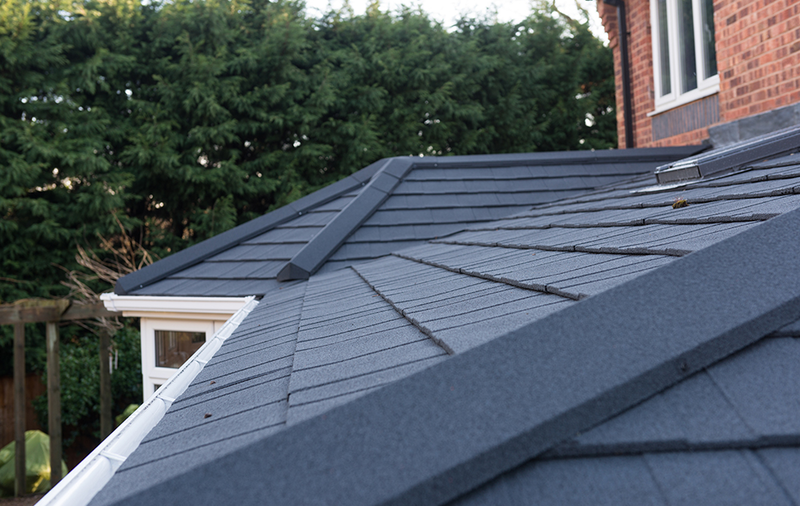 Our composite roof slate boast an attractive, authentic and natural finish. With minimal risk of cracking, fading, shattering, or warping. Choose between charcoal, antique red, burnt umber, moss green, ebony, brick red, pewter grey, stone black, chestnut, plum and slate grey. Immaculate Home Improvements offer our full conservatory roof installation in Bournemouth, Southbourne, Christchurch, New Forest, Sandbanks, Poole, Lymington, Boscombe, Wimborne, Corfe Mullen and nearby Dorset towns. We are happy to operate outside of these areas, depending on the scale of the project. Get in touch with us today to see if we operate in your area. Complete installation – Our team of home improvement and construction experts provide a full-service supply and fit service. We treat your home with utmost respect throughout the work, causing minimal intrusion during the build. Fully accredited company – Immaculate Home Improvements are a fully accredited company, complete with more than twenty-five years’ experience. We are proud associates of Which Trusted Trader, Checkatrade and Trustmark. Traditional appearance – Our conservatory roofs are constructed from a mixture of cutting edge and traditional technology. 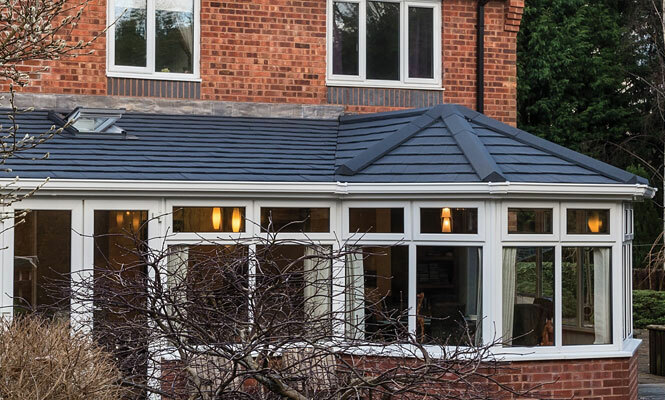 For aesthetic value, and to personalise your conservatory roof, choose between seven unique slate finishes. Free quotes and advice – Immaculate Home Improvements are 100% committed to an unbeatable customer service. For further information and no-obligation conservatory roof quote, please get in touch with one of our dedicated team members. Immaculate Home Improvements offer the most competitive prices for conservatory roofs in Bournemouth and the surrounding areas. For your free conservatory roof quote, get in touch with one of our friendly team members today. Send us a message via our contact form or give us call on 012020 427700. Contact us today for your free no obligation quote!